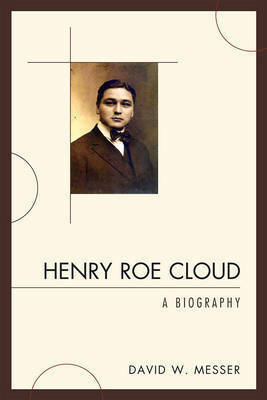 Henry Roe Cloud was the first Native American to graduate from Yale. His education, his religion, his personal life, and his public life were a mosaic made up of traditional Native American beliefs and practices, the white man's educational system, reform theology, progressive education and progressive politics. Cloud was ordained as a Presbyterian minister in 1913. His widely read autobiographical essay, 'From Wigwam to Pulpit,' was subtitled as 'A Red Man's Story of His Progress from Darkness to Light.' His contributions to theological inquiry, the education of Native Americans, and the formulation of government policies contribute to his inclusion in any list of the most prominent Native Americans in history. David W. Messer is an assistant professor of teacher education at Clayton State University in Georgia.